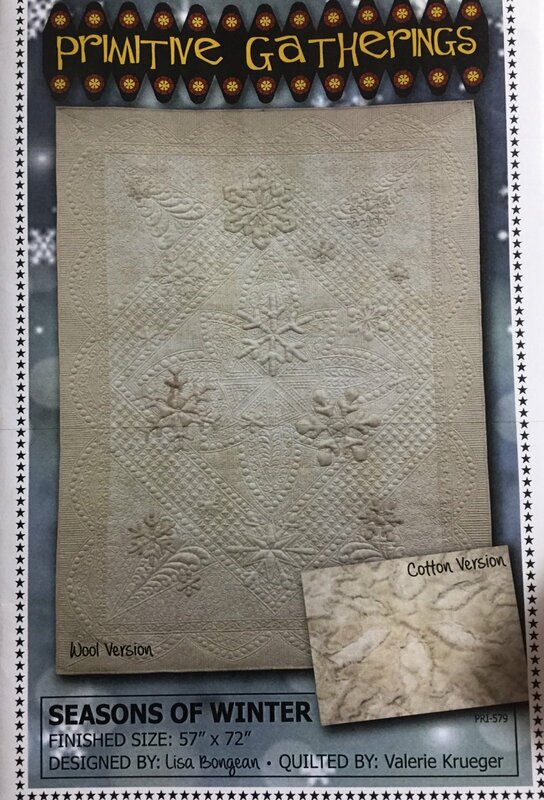 Seasons of Winter might be the simplest quilt ever...just a bunch of different sized tone on tone beautiful creamy snow prints sewn together into long strips and then add the appliqués...You can do this project with wool appliqué or cotton appliqués. Size: 57x72. Perfect size for the back of the couch.